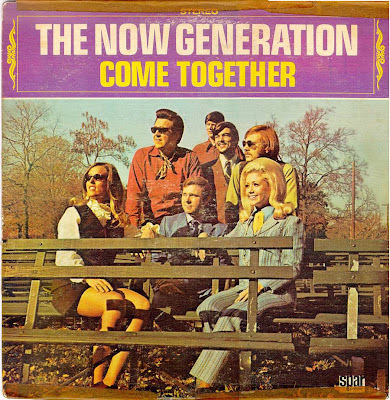 The Now Generation were about as manufactured as they came; the songs as lifeless as can be, and arranged to sound as close to the original hit recordings as possible (see Frank's Vinyl Museum for more on them). They were designed to appeal to kids who didn't know better - a textbook example of all that is bad about manufactured bands. However, manufactured doesn't necessarily mean bad. The Monkees were manufactured, and although they endured serious criticism during their heyday, time has been kind to the group. Mickey Dolenz had one of the best voices in music, and his experimentations with the moog were years ahead of other bands. Mike Nesmith has also proven himself to be an immensely talented musician, innovator and producer. 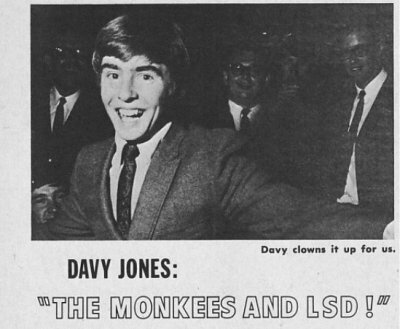 Peter Tork was actually quite handy with the guitar, and Davy.... well, he played a mean maraca. "Sugar, Sugar", a number one hit by Andy Kim ("Rock Me Gently"), was meant for the Monkees, but they were trying to shed their bubblegum image. So, it ended up going to another manufactured band - The Archies. The vocals were performed by Ron Dante, of the Cuff Links (a real group whose arranger happended to be Rupert "Pina Colada" Holmes). Dante later provided lead vocals for another fictional animated group, The Chan Clan, and became the longtime producer for Barry Manilow. And speaking of television based manufactured bands, one of my favorites is The Hardy Boys. To go along with a Saturday morning cartoon (1969-1971), this band was invented that actually released two albums and toured. It was the first cartoon to feature an African American character. I highly recommend dowloading their two records via Zip Your Rip. 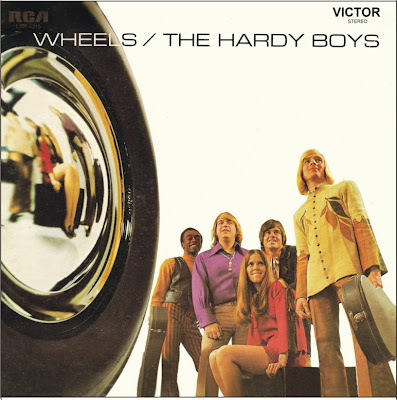 Here's their theme song, "Here Come the Hardy Boys". It wasn't long before seemingly every Saturday morning show had a band - The Groovie Goolies, The Neptunes (from Jabber Jaw), The Banana Splits, etc. Even The Brady Bunch jumped on the bandwagon. I've theorized in a previous post about where this all started - maybe The Partridge Family, maybe The Cowsills, who knows? Regardless, it was a trend that created a lot of prefabricated bands. And who can forget Josie & the Pussycats. Their album was a bust, so the real girl group didn't last long, but it did spark the career of a young Cheryl Ladd (who would later replace Farrah Fawcett on Charlie's Angels). Of course, I couldn't begin to list all manufactured bands; there's been legions of them over the years. However, I think I should bring up the point that the idea of a manufactured band is almost laughable today. Pretty much everything you hear on the top 40 radio was created in a lab - as synthetic as petroleum based plastic. Speaking of Saturday morning shows, how about turning on the TV with your matted hair and your Col. Steve Austin pajamas and listening to a little "S-A-T-U-R-D-A-Y, HEY, S-A-T-U-R-D-A-Y" on the 1978 Bay City Rollers Show starring Billy Barty. The Bay City Rollers and Billy Barty, now that is a combination that only Sid and Marty Krofft could come up with. Does anybody have a song called;"Walking backwards,down the road",it was written by Burt Bacharach and Hal David. It was recorded by some Muzak sounding group back in the 60s or 70s. It had a really catchy melody and I actually know some lyrics,I have'nt heard this song in maybe 30 years. "Walking backward down the road /feeling out of bound/never thought i'd wind up/walking backward down the road/feeling out of bound. I can't seem to find it anywhere,in stores or the internet. I was wondering if you had it or know of it. The only thing I know about it, is that it was recorded by Dionne Warwicke and the Brothers Four. The version I remember though sounded more like the Ray Coniff singers or any one of those purveyors of elevator muzak. I thought most acts today were manufactured. Saying "Manufactured Bands" today is as redundant as saying a "wet swimming pool". Again, this is not necessarily a bad thing. The Monkees were great.... Three Dog Night was great... nothing wrong with getting your songs from talented writers - just ask Sinatra or Elvis.